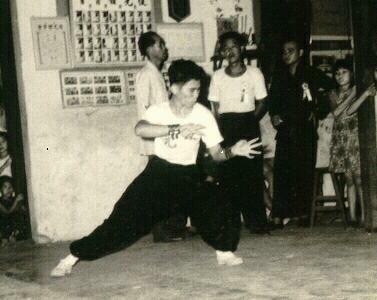 A priceless photograph showing Sifu Lai Chin Wah demonstrating the Kwan Tou. 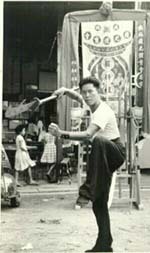 Sifu Lai Chin Wah was Sifu Wong’s first kungfu teacher. Sifu Lai was better known in kungfu circles as Uncle Righteousness. Having a good master is definitely a tremendous blessing in kungfu, taijiquan and chi kung training. As mediocre instructors are so common nowadays – some even start to teach after having attended only a few week-end seminars – finding a great master is like finding a gem in a hay stack. Here are some guidelines to help you find one. The reverse is unacceptable, i.e. someone who is very knowledgeable, but not skillful – a situation quite common in the West. 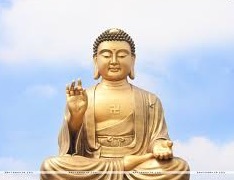 A person may have read a lot about kungfu, taijiquan or qigong, and have written a few books on it, but has little kungfu, taijiquan or qigong skills. We may call him a scholar, but certainly not a master. 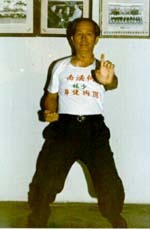 Sifu Ho Fatt Nam demonstrating “One-Finger Shooting Zen”, a fundamental internal force training method in Shaolin Kungfu. 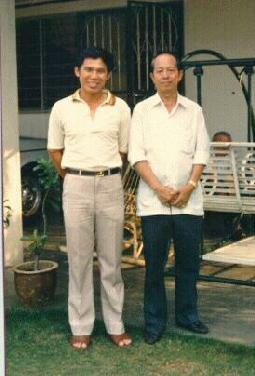 Sifu Ho was the other Shaolin master whose teaching on Sifu Wong was decisive. 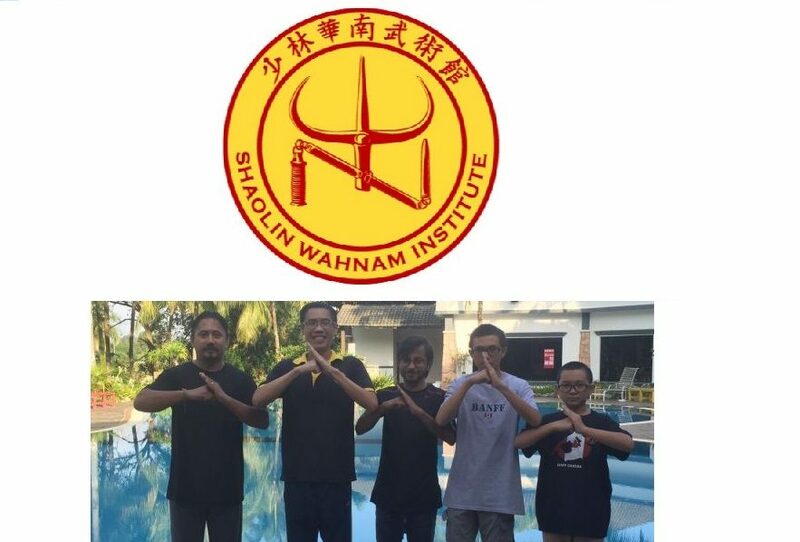 To honour his two masters, Sifu Wong name his school Shaolin Wahnam. On the other hand, it is significant to note that a good master teaches according to the needs and attainment of his students. If his students have not attained the required standard, he would not teach them beyond their ability (although secretly he might long to), for doing so is usually not to the students’ best interest. In such a situation he may often be mistaken as withholding secrets. This entry was posted in Grandmaster Wong Kiew Kit, Kung Fu, kung fu culture, qualities of a master, Shaolin, Shaolin Wahnam, showing respect and tagged Grandmaster Wong Kiew Kit, Kung Fu, kung fu culture, qualities of a master, Shaolin, Shaolin Wahnam, showing respect on November 7, 2016 by Wei Joo Lee. This entry was posted in culture, Grandmaster Wong Kiew Kit, Kung Fu, kung fu culture, Shaolin, Shaolin Wahnam, showing respect and tagged culture, Grandmaster Wong Kiew Kit, Kung Fu, kung fu culture, Shaolin, Shaolin Wahnam, showing respect on July 22, 2015 by Wei Joo Lee.